My dad and I thought that we had found a new secret dining spot. Well… as it turned out, my mom and my sister had known about this place years prior! Regardless of that fact, it was early last summer when my dad and I went for breakfast at Zoe’s House of Pancakes in a nearby suburb. If I’m not mistaken, my dad had pecan pancakes and loved them. 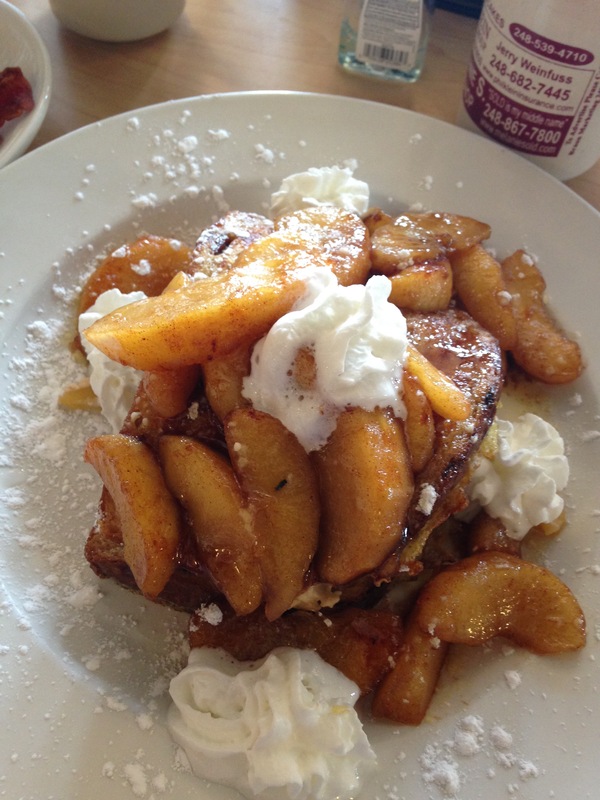 My dish was apple cinnamon french toast (as seen below) and I enjoyed that as well.